British ISIS hostage John Cantlie has appeared in another video released by the extremist group in their latest piece of propaganda against the West. 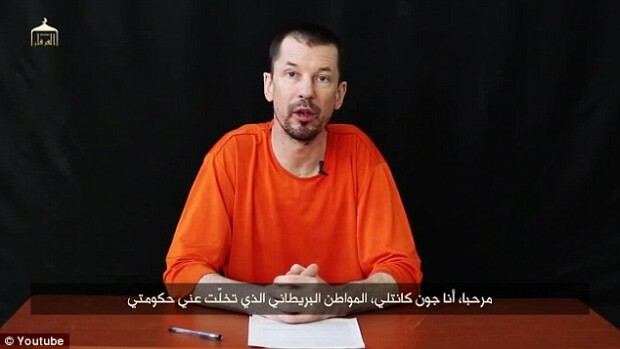 The photojournalist, who went missing last year while working in Syria, sits at a table dressed in an orange jumpsuit in the video titled: ‘Lend Me Your Ears, Messages from the British detainee John Cantlie, episode five’. Staring solemnly at the camera, Mr Cantlie describes himself as ‘the British citizen abandoned by my government and a prisoner of the Islamic State for nearly two years’.